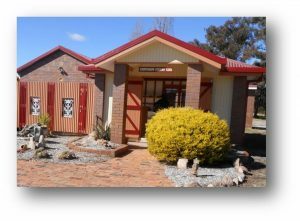 The Stanthorpe Pottery Club Inc. was started in 1970 by an enthusiastic group of local people. We are situated in Eduardo Verri Park at the top of Wallangarra Road in Stanthorpe. We have an exhibition gallery and studio facilities including pottery wheels, slab roller, clay extruder, hand-building tables, glaze areas and glaze ingredients, airbrush, compressor and kilns. Thanks to RADF* funding we can access high profile tutors to come to Stanthorpe to teach a whole range of techniques. Check our workshops page. Each September we hold a popular children’s workshop which runs over 3 mornings. The gallery is open every Sunday from 10am to 1pm. Please come in and browse – all works are for sale. $35 per year. Use of the club’s studio is an additional $30 per year or pay $3 per session. Interested in becoming a member or learning a new hobby and meeting new friends?